This Could Be the Cutest Game of Peek-A-Boo You Will Ever See! 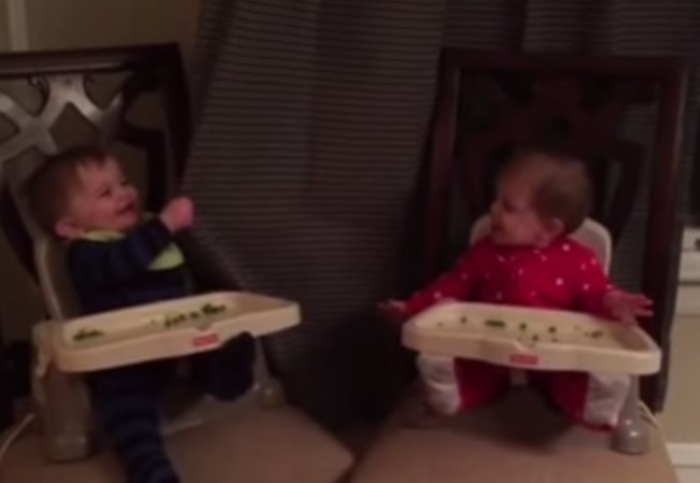 These adorable twins do something that is completely adorable. They crack each other up with the cutest game of peek-a-boo ever! Usually we see a baby playing these types of games with his parents, smiling while they play. But, this adorable baby plays with his best friend sitting across from him. These giggles are perfect when you are having a bad day. They will turn your day from bad to good, instantly!